Data security is a major concern for small and midsize businesses (SMBs)—and you don’t have to look far to realize why the topic keeps entrepreneurs and IT professionals up at night.It’s estimated that a whopping 60% of SMBs close their doors forever within six months of suffering some sort of data breach or hack attack, according to Security Magazine. 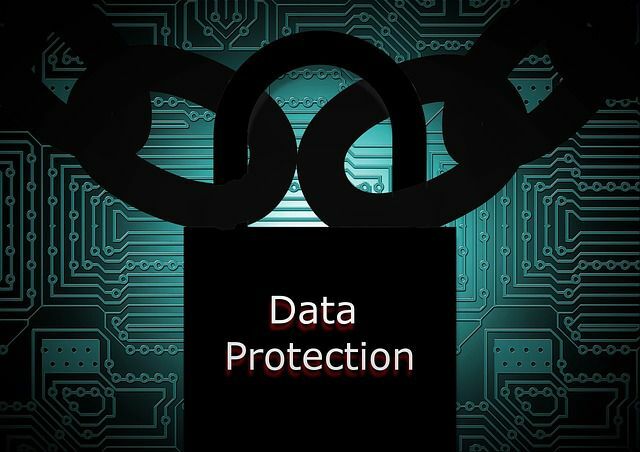 But there are some simple steps you can take to protect business data from hackers, malicious insiders, credit card fraud, accidental deletions, human error, natural disasters and ransomware attacks. 1. Conduct background checks on all new employees. Checking employer references is important. But there’s no substitute for a real criminal background check. Examples of online criminal background check providers include BeenVerified, Instant CheckMate and PeopleLooker. 2. Physically protect papers and laptops.Malicious employees are one of the top causes of security breaches. That’s why physically safeguarding important documents and equipment is critical. Make sure all company-issued laptops and tablets are password protected and kept in a safe place—preferably locked up—when not in use. 3. Shred old documents. Criminals are more than happy to go through your garbage looking for sensitive private information. Failure to shred old documents can lead to identity theft and credit card fraud, not to mention some very unhappy customers. 4. Use a secure wireless connection.Be sure to password-protect your wireless network. Your business is an easy target without this simple level of security. 5. Install antivirus software and keep it up to date. A lot of small businesses neglect their antivirus software updates. That can leave them vulnerable to malware. While it’s not foolproof, antivirus software should be your first line of defense. 6. Download from reliable sources.One of the bad guys’ top tricks is to make you download infected software from their scam sites. Always do your due diligence. That means checking online reviews and doing research to ensure that you’re dealing with reputable vendors. 7. Use strong passwords and change them regularly.You know this, but do you actually do it? Changing passwords may be annoying, but it truly is one of the best things you can do to protect your business. 8. Use a secure connection when receiving or transmitting sensitive financial data.Financial transactions should only be done on sites that use either SSL (Secure Sockets Layer) or TLS (Transport Layer Security) technology. 10. Back up your data. Should the worst occur, you will be very happy if your computers, servers and business data is backed up to the cloud.